File photo dated 27/11/17 of Prince Harry and Meghan Markle. It's happening! It's happening! The royal wedding is upon us. On Saturday, May 19, Meghan Markle and Prince Harry will tie the knot at St. George's Chapel in Windsor Castle. 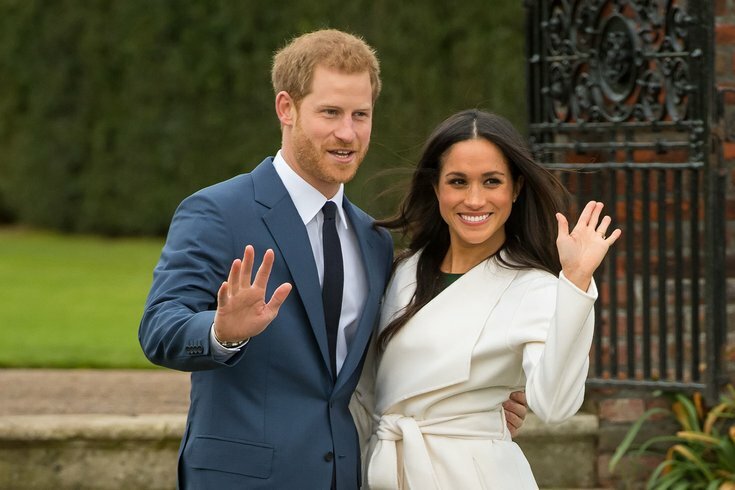 According to Kensington Palace, the wedding will begin at noon BST, followed by a carriage procession around Windsor Town and reception at St George's Hall. Even if you won’t be in Windsor, England, for the big day, you'll still be able to see the royal wedding – and celebrate! A bunch of networks and cable channels will be covering the event. Below are a few ways to watch Meghan and Harry's nuptials. BBC America will simulcast BBC One's live streaming of the wedding as part of its epic "Royal Wedding Week" programming slate. Five-hour coverage of the royal wedding begins at 5 a.m. E! will also air a recap at 7 p.m. Wedding coverage starts at 4 a.m. The Good Morning America crew will be in Windsor for the wedding. Live coverage will air from 5 a.m. to 10 a.m. The wedding will also be streaming live on the ABC site. Starting at 4:30 a.m., Savannah Guthrie and Hoda Kotb will host a special, four-hour edition of "Today" from Windsor Castle. Ainsley Earhardt will co-host "FOX & Friends Weekend" live from Windsor starting at 5 a.m. Shepard Smith and Sandra Smith will start their coverage from St. George’s Chapel at Windsor Castle at 6 a.m.
TLC will air a live, four-hour feed beginning at 5 a.m.
Fathom will theatrically present ITV's coverage of the royal wedding across 200 theaters nationwide at 10 a.m. Find the theater closest to you here. Tickets are $10. Eat, drink and be merry in honor of Meghan and Harry. Several bars in Philly are celebrating on May 19. 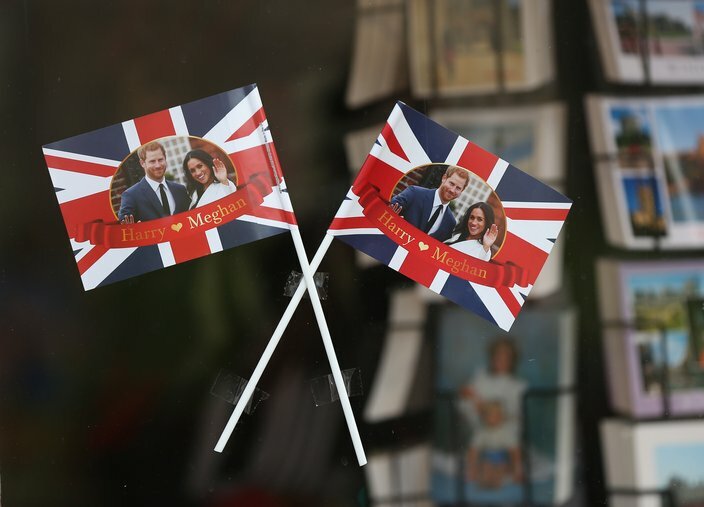 5/4/2018 - Gift shops in Windsor display trinkets dedicated to all royal memorabilia of Prince Harry and fiancee Meghan Markle ahead the royal wedding on May 19. Update: Victoria Freehouse will open at 6 a.m. instead of 8 a.m.
Start your day with an English breakfast at this British pub in Old City, which is opening early to celebrate the bride and groom. The Victoria Freehouse will open at 6 a.m. Through noon, guests will be able to enjoy food and drink specials. There will be an array of British breakfast foods, including freshly-baked scones. If you plan on going back to bed after Meghan and Harry say "I do," you can still celebrate the newlyweds later in the day at The Dandelion. Stephen Starr's British restaurant will serve a three-course pre-fixe dinner for $55 per person. Included will be a complimentary glass of Champagne and lemon-elderflower cake, just like the one Meghan and Harry are serving at their wedding. Reservations are required. They can be made by calling (215) 558-2500. Beginning at 11 a.m., London Grill in Fairmount will start celebrating. The bar will extend discounts to any guests who arrive in festive hats or fascinators, and will also offer special pricing on Champagne and a Lemon-Elderflower Gin Fizz. Dog owners are also encouraged to attend, and outdoor seating will be available for those with pups – particularly Corgis. All of the televised celebrations across the pond will be shown on the bar's TVs. This Center City bar is throwing a royal wedding brunch party, beginning at 11 a.m. Guests will be able to cheers – and cheers again and again – to the couple. For $15, with the purchase of any brunch entrée, enjoy bottomless mimosas and bloody marys. Live coverage of royal wedding festivities will play on the bar's TVs throughout brunch. Reservations are required. They can be made by calling (215) 546-2290.